Just look at this week's gorgeous inspiration photo! 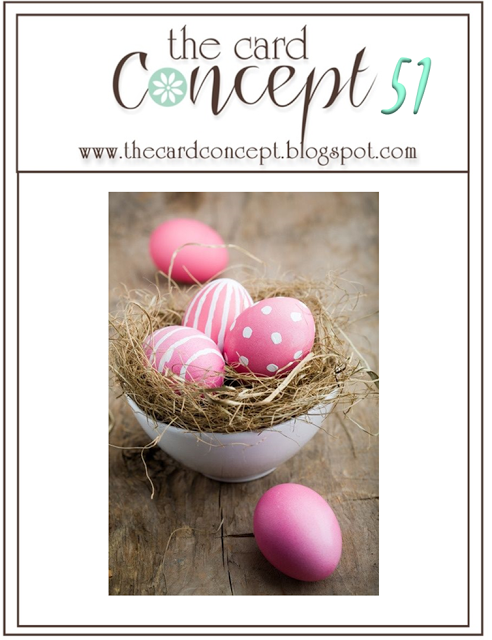 I was inspired by those pretty pink eggs against the neutral background. I made my Easter basket with circle dies and the Tim Holtz Chevron die! Pretty cool, huh??? The gorgeous Easter eggs are from the SugarPea Designs Egg-A-Licious stamps. They are heat embossed with 2 different pink embossing powders! I was really happy with the way this turned out! I hope you are too, and will be inspired to play with this at The Card Concept!!! Please visit my awesome teammates for some fabulous inspiration! What a fun basket of eggs Mackie! Oh my that basket full of eggs is just lovely!!! Oh my gosh Mackie, this is so PRETTY!! Your Easter basket is creative and perfectly executed. Love this!! So pretty Mackie! What fun little Easter eggs! Oh, your basket of eggs is just so darling! Perfect take on the inspiration! What an awesome Easter basket! So creative and perfect for the challenge! 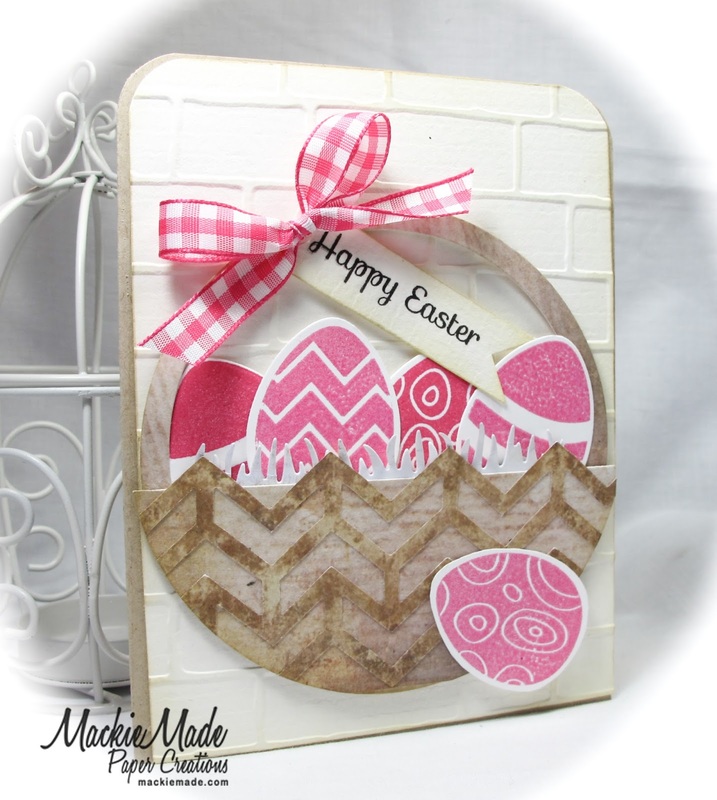 LOVE the chevron die for the basket! Super Clever! It is pretty cool!!! So creative! =) Love it! Mackie this is AMAZING! I love the terrific pink color on the eggs! Beautiful and full of whimsy too! Love your basket of eggs...wonderfully designed, Mackie!